Comment: Some of the wood siding is rooting. Its between the siding and roof on one side of the house. Comment: I am a past customer. you previously replaced the siding on my home after a fire. Now, I have storm damage. Please give me a call at xxxxxxxxxxxx. Thank you. Comment: appears that insolation is being pulled from under the overhang portion of a dormer on the roof. Unanble to determine if piece of siding also missing which may require a piece of siding no more than 10x18 inches. Comment: June 2018, I had my roof and sidings replaced. The sidings came off and I reached out to the company but I am not able to get in contact with them. Their telephone numbers are off, the information on their letter head belongs to someone else. I was taken advantage and I need help. Gaithersburg Siding Contractors are rated 4.69 out of 5 based on 4,564 reviews of 48 pros. 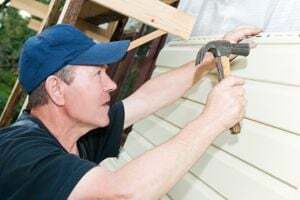 Not Looking for Siding Contractors in Gaithersburg, MD?